HanoverCountySports.net: Randolph-Macon Baseball: 2013 ODAC Tournament Champions!!! 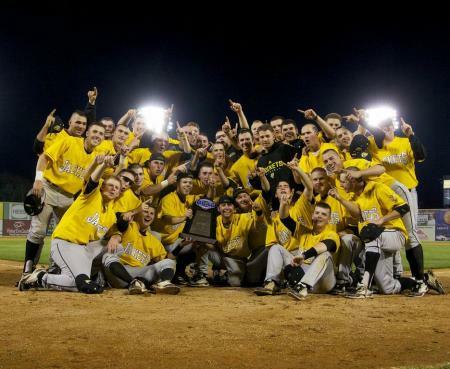 Randolph-Macon Baseball: 2013 ODAC Tournament Champions!!! Congratulations to the Randolph-Macon Yellow Jackets, who won four games in a row, including two Monday over Bridgewater, to capture the 2013 ODAC Tournament Championship and an automatic bid to the NCAA Division III Tournament! They defeated the Eagles by scores of 8-7 and 6-2 to win the title. For complete details on Monday's championship triumph, CLICK HERE! The Jackets return to finish their regular season schedule this weekend at home.